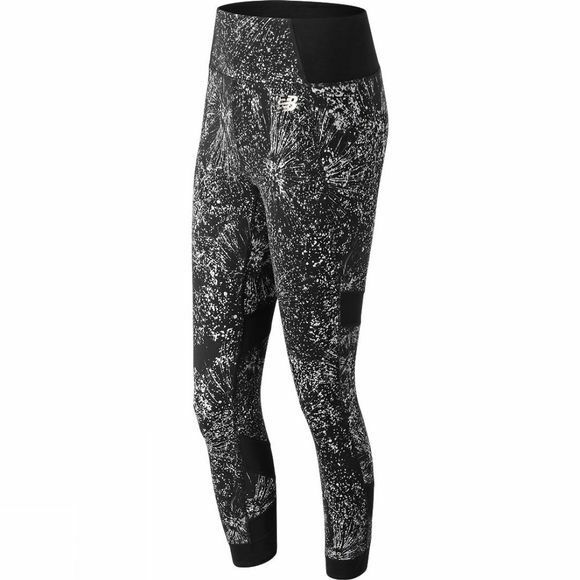 The womens printed evolve tights from New Balance offers a go-to studio gear update with features designed for superior breathability. 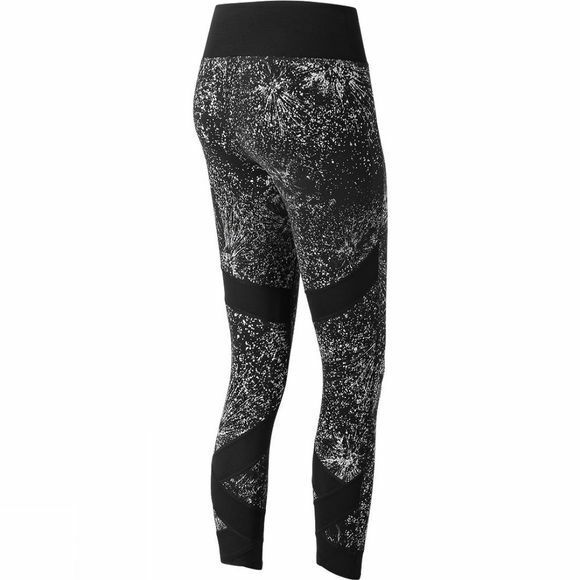 Mesh panels on the calf and on the back of the waistband facilitate fresh airflow to help you stay dry and ventilated. Plus, the moisture-wicking fabric is designed to adapt to your tough movements, and a drop-in waist pocket adds convenience.